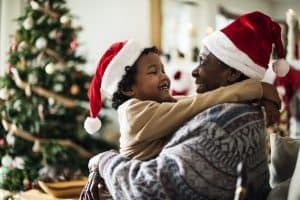 For many people, a big part of the holiday season involves transforming their home into a festive, glowing environment full of lights and decorations. However, the season also brings with it its increased share of fire emergencies and associated burn injuries. The National Fire Protection Association (NFPA) reports that over 350,000 residential home fires occur every year in the United States. These fires result in close to 11,000 injuries and nearly 3000 deaths. These fire emergencies tend to take place over the winter months and the holiday season. Some of the most common reasons for these fires are connected with the use of various types of home appliances and equipment. During the holiday season between Thanksgiving and New Year’s Day, hundreds of fires of various sizes and severity occur in American households. This increase in fires is often caused by damaged or defective holiday lights. Many times, when a holiday house fire occurs, the homeowner is not to blame for the ensuing conflagration. The homeowner may exercise all necessary precautions and still suffer from a fire. In these circumstances, defective holiday decorations, such as those involving bad wiring or a faulty string of lights can be the culprit. In these cases, the product manufacturer is likely responsible for any burn injuries suffered by residents or damage that occurs to the home. Electrical burns. These burns can occur when you are plugging holiday lights or other decorations into a faulty electrical outlet. Heat burns. Many of these burns occur while performing cooking tasks in the kitchen. You can also suffer one of these burns when your skin is too close to a space heater, or when you are battling or attempting to escape a house fire. Liquid burns. These burns can occur when handling scalding water or other liquids. At Bailey & Greer, PLLC, our Memphis product liability attorneys can help you secure the compensation you deserve if you have been injured by a dangerous product. We can examine your case if you have suffered a house fire during the holiday season and you suspect a defective product is the cause. Our legal services extend to the residents of Memphis, Jackson, West Tennessee, and the surrounding region. To arrange a free consultation about your case, call us today at 901.475.7434 or send us a message through our contact form.